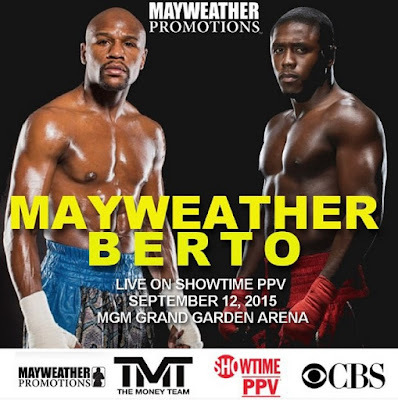 Floyd Mayweather will be fighting Andre Berto at the MGM Grand Garden Arena on September 12, 2015. 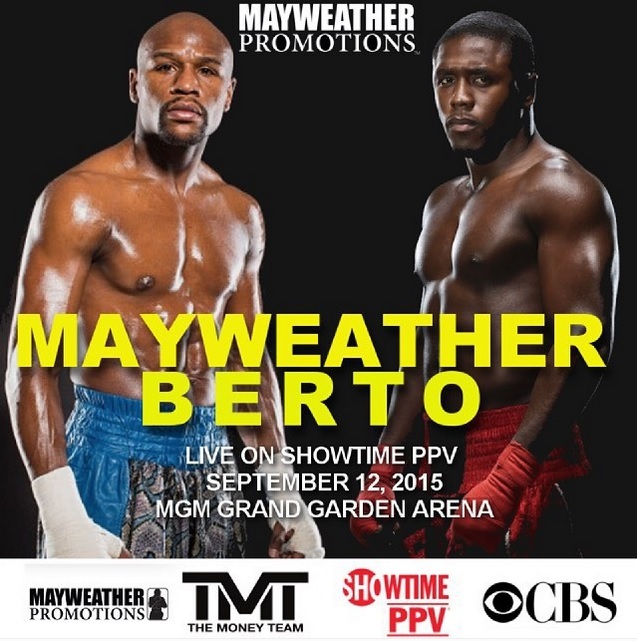 Mayweather posted the promo image on his instagram account to announce the fight. Initial reactions to this boxing match aren't overwhelmingly positive. Many people feel this is a lopsided match-up. Others still have a sour taste in their mouth after what was perceived to be a boring Mayweather vs. Pacquiao fight in May. That being said this is huge news for Las Vegas. Mayweather fights are great for the economy as high rollers from around the world will fly in for the weekend. Although this fight won't be as big as the Pacquiao match-up it will still be a huge economic hit for Las Vegas.